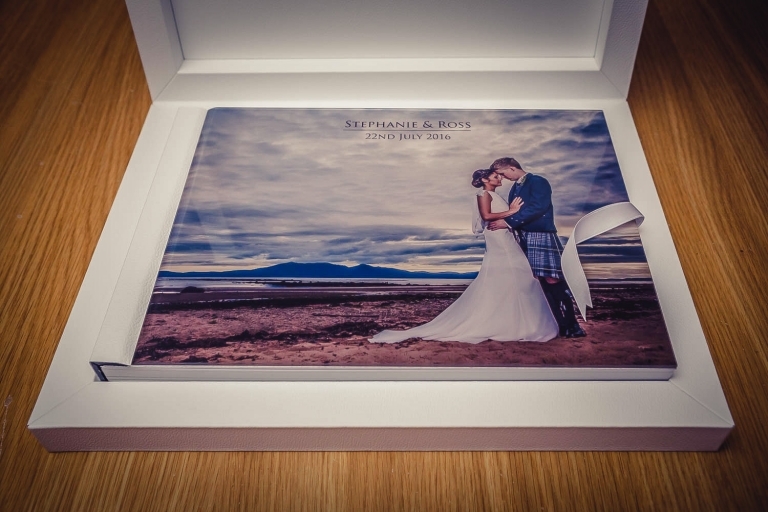 Delighted muchly to be sharing another album design with you guys today – this time around featuring Stephanie & Ross’s fabulous day at Seamill Hydro back in 2016. 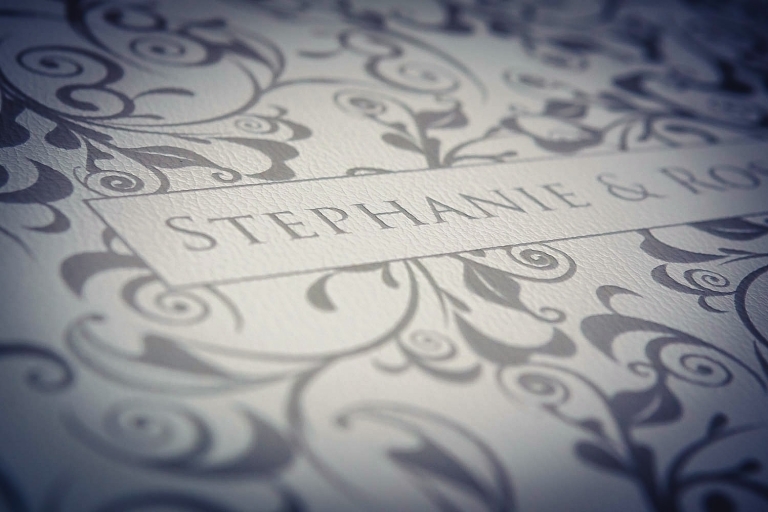 For their album, Stephanie & Ross went for the very stylish “Young Book” from my lab, Graphistudio. The album itself featured the popular “crystal glance” cover with a white leather binding. 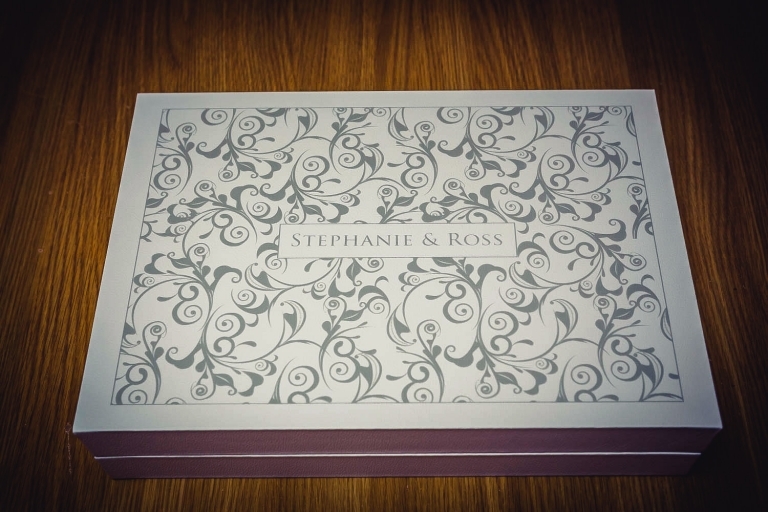 The box, also in white leather, was highlighted in my own scroll design in raised and varnished grey. The 60 pages of loveliness were finished off in my favourite paper…metallic with satin lamination :-). I do believe that I’m partnered with the best album company in the world, Graphistudio from Italy, used by the majority of top professional wedding photographers worldwide. Check these out…there’s so many ways in which the album can be customised in terms of covers, back & spines, boxes, colours etc, that apparently there are about 4 million different combinations in total! I love shooting weddings but I do often get booked up around 18-24 months in advance, so if you’re keen to book with me, or just need more information, please do get in touch. My wedding collections start at £1300.